Woodcut is an exhibition at Solander Gallery in Wellington, running from 1 July - 8 August. You can also meet the artists at the opening event 1-3pm on Saturday 4 July. still has the power to illicit exciting, contemporary and challenging works of art. shows the hand of the artist in direct dialogue with the matrix. who each explore the practice of woodcut from notably different perspectives. For more information, click here to check out Solander Gallery's website. 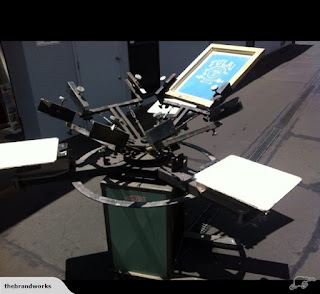 saying he is reluctantly selling off his excess screenprinting equipment. It is worth much more than the selling price, but the space is desperately needed, so must go! This creates a new opportunity for someone out there who wants to get started. 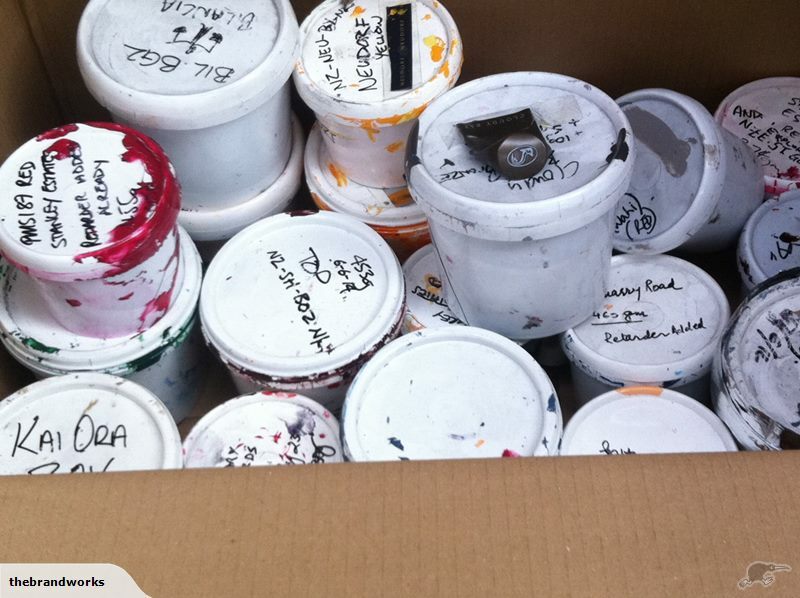 Plastisol Ink: 25 pots / colours for printing textiles. 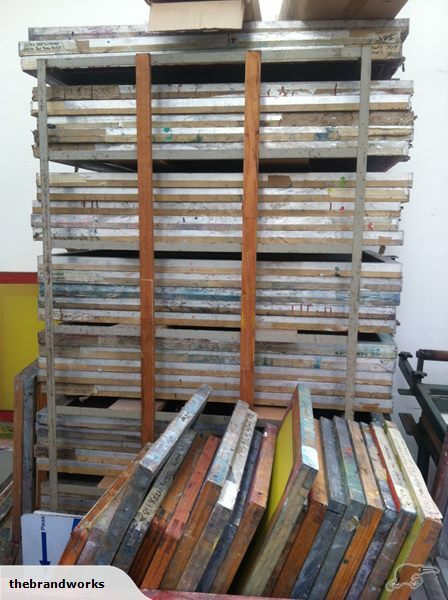 Large hand-bench for printing posters, large fabric panels etc. Quartz Flash Cure - for drying in between colours on the carousel. 2 large tables for sorting and stacking garments, pressing shirts, etc. Auction closes 8:30pm on Sunday 28 June. but press is now located in Whangarei, Northland. It has been sitting unused for a number of years and is in need of a bit of TLC. It measures approximately 91x142cm and 125cm high. It comes with the metal bed (not pictured) and one felt. 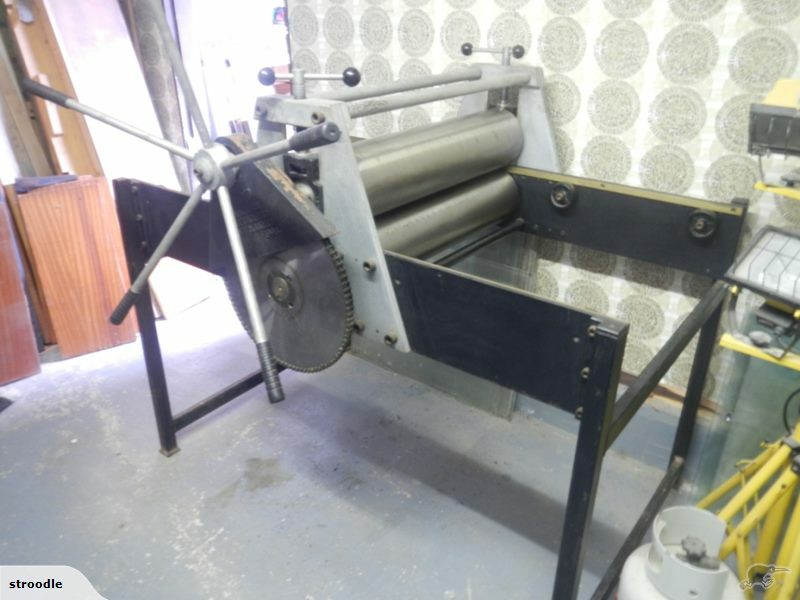 Buyer must pick up, this press is very heavy, can be taken apart for transporting. 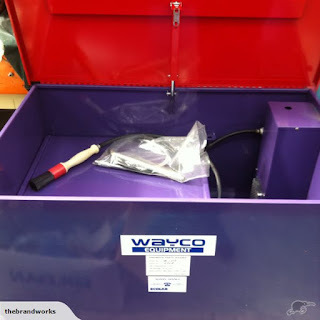 so thought I'd let you know about this one currently listed on TradeMe. Only 3 years old, it has a cast iron base, on castors currently, can reattach the original feet. It has a 1250x850mm bed and a five spoke rimless handwheel. 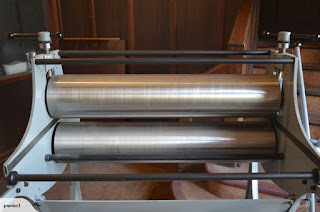 The rollers are 850mm wide. 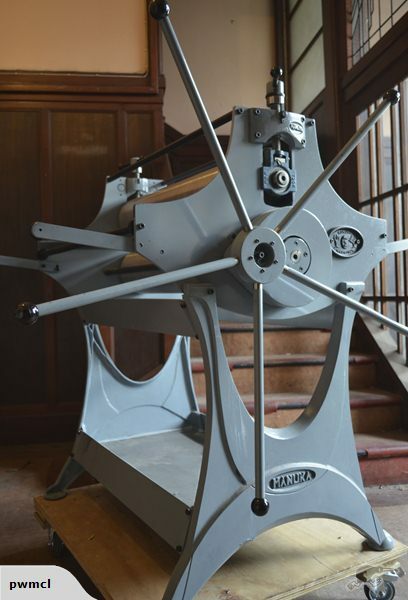 The press is easy to relocate: when packed down it measures 950x1400x800mm and weighs 230kg.